Chef Anthony Reyes’ mother and the namesake of the restaurant, Mable, inspires every detail of Mable’s Table, from the food to the aesthetics to the at-home feel of the place. Growing up in an Italian-Mexican family, Chef Anthony was surrounded by great women who cooked great food. What more can anyone ask for? Chef Anthony’s mother may have inspired a lot of the menu but he has put his own culinary spin and expertise on many of the dishes to not only give them the best flavor but to give them that Instagram-worthy aesthetic. For starters, Mae’s Meatballs are unbelievable. 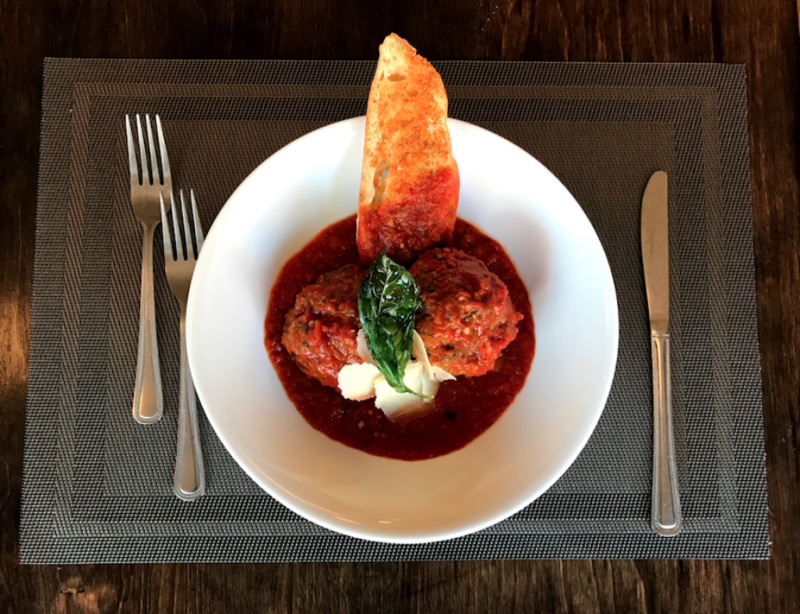 Two huge spheres of an all beef blend arrive swimming in homemade marinara sauce topped with shaved Parmesan and a fried basil leaf accompanied by a slice of garlic bread. It’s almost a meal in itself but small enough to share if you are willing. The salads also can’t be beat. They are big enough to be meals as well but serve as excellent appetizers for a meat-filled entrée menu. 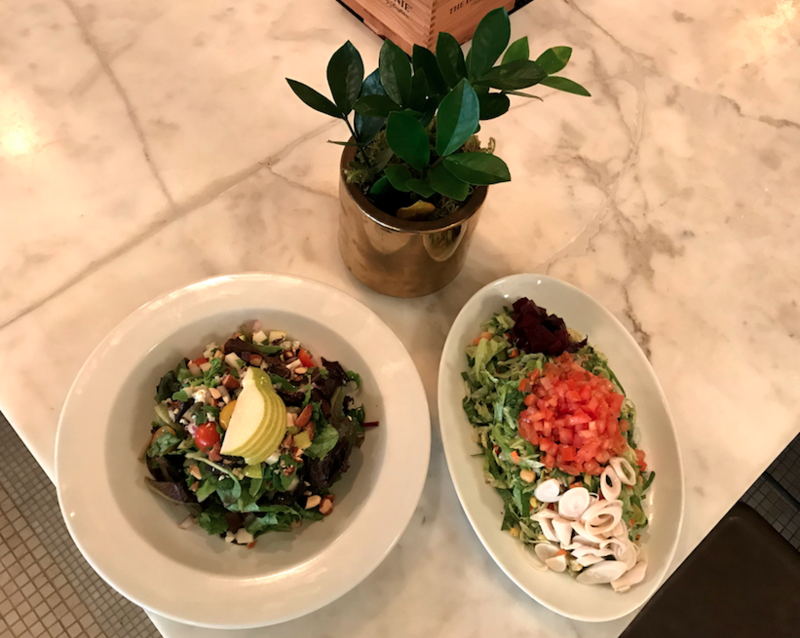 The Chop Chop salad is not your typical chopped salad. Shards of iceberg lettuce are topped with diced tomatoes, beets and chopped hard-boiled eggs, garbanzo beans and corn. It’s a beautiful medley of vegetables finished with a light olive oil and vinegar. Another notable salad that appears only on the lunch menu is the Jane’s Pear Salad, carried over from the Jane’s menu. A bed of wild greens topped with crumbled blue cheese, grape tomatoes, chopped pears and walnuts dressed with a subtle balsamic shallot vinaigrette. 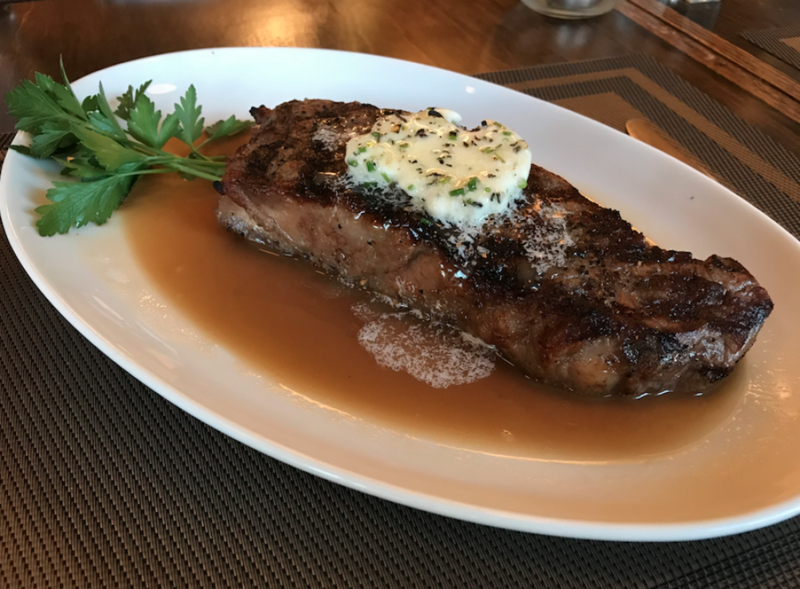 For meats, one can’t go wrong with the New York Strip. Cooked to your desired temperature, the steak arrives at the table with a disk of herb butter that is melted by a blowtorch right in front of your eyes. The St. Louis BBQ Ribs also shine at a place that doesn’t focus on BBQ. 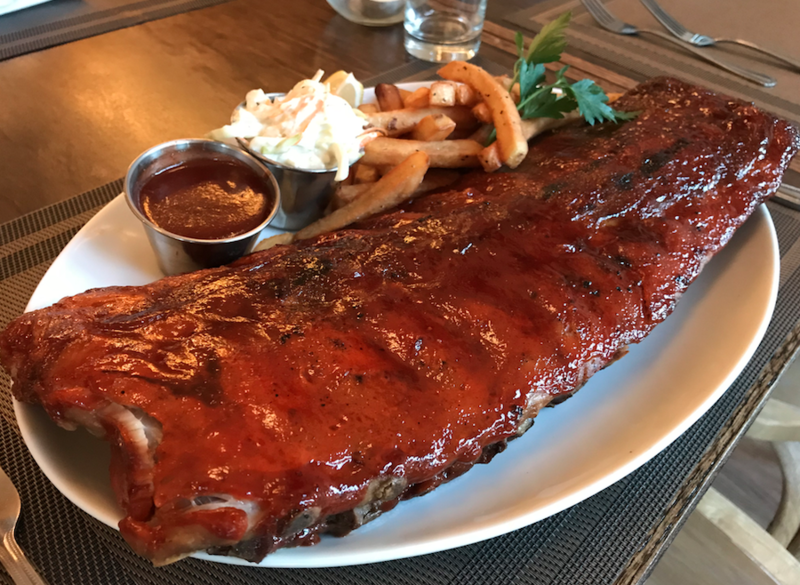 Guests can order a half rack or full accompanied by hand cut salt and pepper fries, coleslaw and a side of extra BBQ sauce because everyone always needs more sauce! 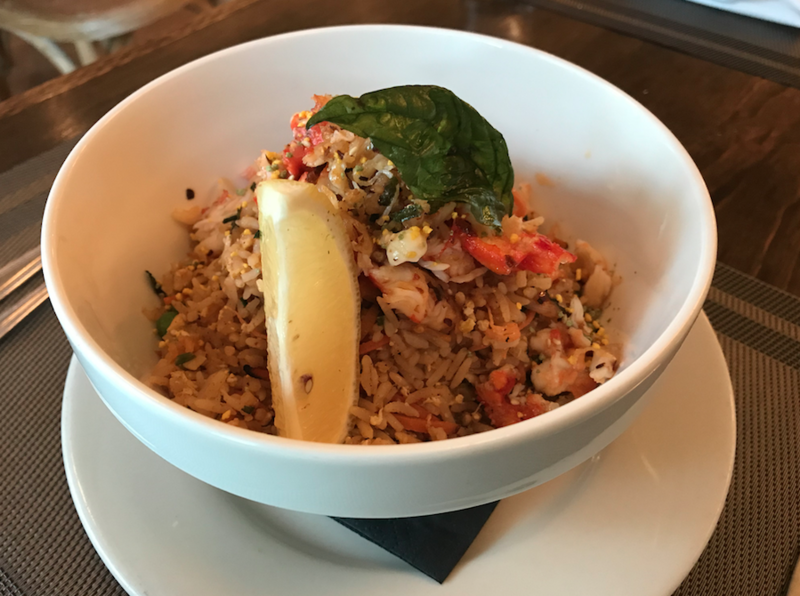 The King Crab and Kimchi Fried Rice highlights the entrée part of the menu. Served with warm shredded crab and five seasonal vegetables, this fried rice has intense flavor in every bite! 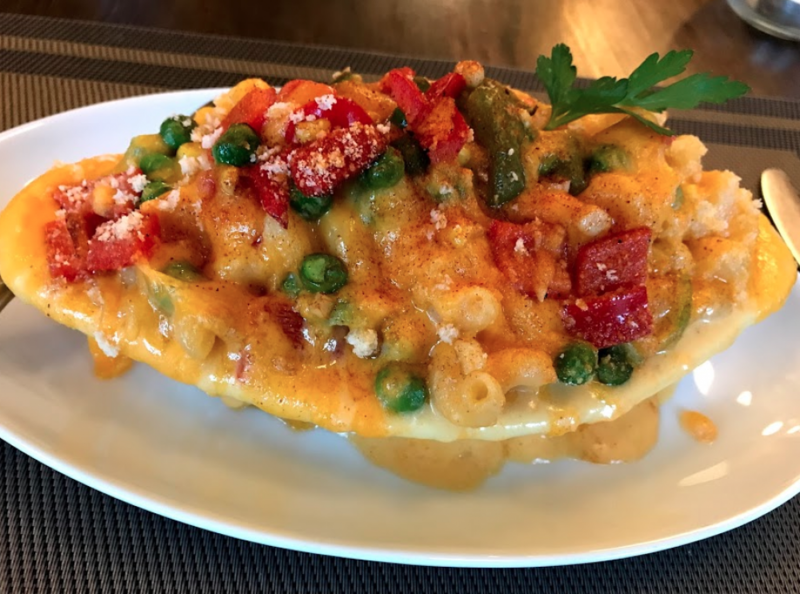 Lastly, Chef Anthony uses his mom’s classic macaroni and cheese recipe and serves it up in five ways. Guests can order it the Traditional Four Cheese Blend way or keep it somewhat healthy with the Garden Vegetable, prepared with seasonal vegetables. The tacos prepared on Tuesdays rotate every week, ranging from Carolina BBQ Chicken to Lobster Tacos, so call ahead to find out the day’s fun creation. Wednesday’s Bacon-Rolled Meatloaf is homage to the meatloaf Chef Anthony’s mother would make when he was growing up. Just like the tacos rotate every Tuesday, the fish is different every Friday. The chef’s prepare only what comes in fresh so expect a surprise every Friday too! Mable’s Tables is open for dinner 4:30pm-11pm Tuesday through Saturday and 4:30pm-10pm Sunday and Monday. The restaurant is now open for lunch Monday through Friday from 11:30pm-3pm and has plans to open up for brunch on the weekends starting the beginning of December with the date to be announced.